The Accuris product development team has over 25 combined years of experience in the precision liquid handling business. We were assigned the challenge to create a next generation pipette, to be the lightest and most ergonomic that we have ever introduced, without compromising performance or durability. Market leading accuracy & precision. Easily visible, 4 digit display. Ergonomic, thumb shaped plunger button. The NextPette development project started with feedback from a wide range of researchers and technicians. The Accuris engineering team then set their sites on creating an ultra-lightweight, and ergonomic pipettor without any sacrifice in terms of durability, accuracy and precision. The NextPette incorporates many significant features and advantages truly appreciated by today's research laboratories. The easily accessible volume adjustment system reduces the time and inconvenience associated with volume selection. 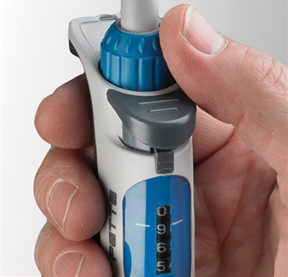 The uniquely positioned volume dial is located above the pipette handle, allowing for easy one handed adjustment with the user's thumb. The volume display is located on the side of the pipettor that faces the user. 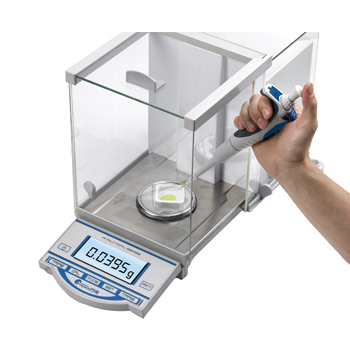 Unlike traditional pipettors, the NextPette does not require a second hand to rotate the pipettor 180° to observe the display. The NextPette also features an innovative, asymetrical designed plunger button that can be rotated to match the comfort preference of the user. This button is freely adjustable to rotate continuously between wide setting, resulting in the more traditional feel of a round, larger diameter plunger button, or to a more narrow (thumb shaped) contour preferred by the majority of researchers. NextPette's materials and components were carefully selected to minimize weight and ensure durability and a long service life. Internal components include precision plungers made of stainless steel (1ul, 10ul, 5000, and 10,000µl models) or ceramic (20ul, 200ul, and 1000ul models) and all use durable PTFE seals. The pipettors have also been designed with service in mind. They are easy to disassemble, and seals are easy to replace. Silicone lubricant is included with each pipettor. 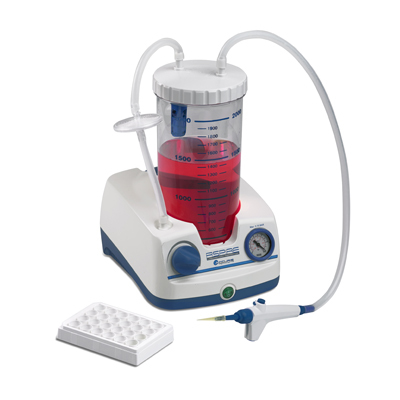 Recalibration can be done in the lab - no tools are required and the instruction manual includes full details on how to properly check pipetting accuracy and how to recalibrate if necessary. The entire pipettor is autoclavable at 121°C and resistant to UV exposure. All pipettes are factory calibrated in accordance with ISO 8655 standards, and include a factory calibration certificate. P7700-T5M 5ml pipette tips, 100/pk. 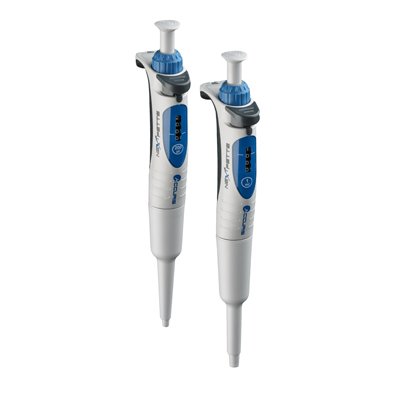 P7700-T10M 10ml pipette tips, 250/pk.